Joy, laughter, donuts, and a groom in a kilt—Megan and Nathan’s wedding day was all the awesome things. As Megan told us, “Nathan and I wanted to throw a great party for our loved ones in a warm and inviting space. 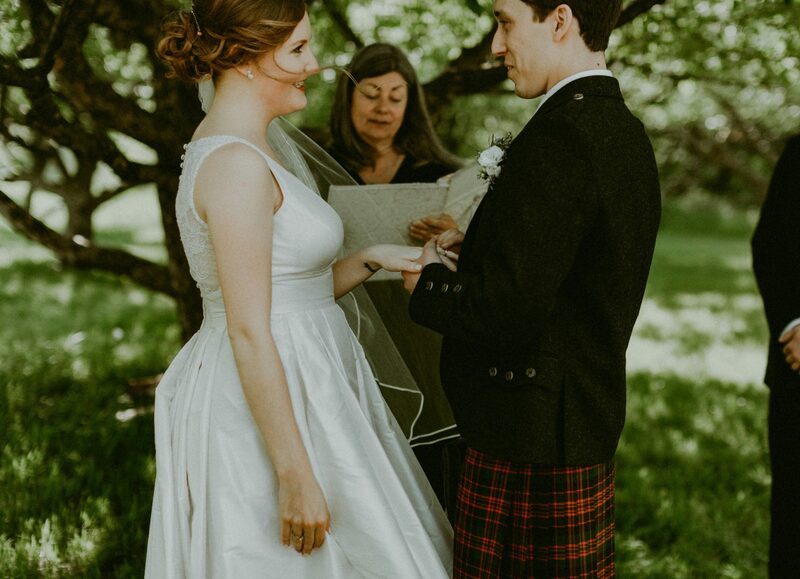 We went for a Classic Scottish Countryside theme that allowed the beauty and warmth of the amazing venue and Nate’s MacDonald tartan to shine through!” They achieved that and then some. The warmth in their photos is irresistible, as is our stunning bride bubbling over with elation in her Astrid & Mercedes Cherish gown!